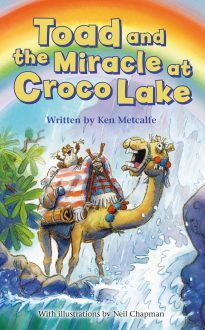 There is a problem at Croco Lake. The exit channel to the river is blocked by a landslide and it only needs more heavy rain for the whole of the surrounding area to be flooded, including the local village. Dynamiting the blockage may endanger the lives of many creatures. Toad however has a plan but can all the creatures be saved? And will they be in time? A second book in this delightful series set in Africa in the 1930s. A funny and moving story suitable for young and old alike.